Nirvana did it. Beck did it. Tori Amos checked it off her to-do list. The Cure, ditto. Red Hot Chili Peppers and the White Stripes, same. Even before his death in January 2016, David Bowie “might have been among the most-covered artists of the past four decades … often by musicians who stretched the source material to its limits” (diffuser.fm). In all genres, Bowie’s music remains fluid: highly adaptable yet easily recognizable as it navigates new avenues of phrasing, instrumentation and timing. Jazz artists have taken full advantage of that fluidity, offering up truly inspired renditions. Sammy Miller and The Congregation, coming to the Mondavi Center on November 9, recorded a live cover of “Space Oddity” that features brassy horns and a sweeping snare drum that swings from boisterous cacophony to tender lamentation. Soul singer CeeLo Green offered a rousing version of Bowie’s “Let’s Dance” at the 2018 North Sea Jazz Festival, and The Wee Trio dedicated an entire album to Bowie’s work with 2012’s Ashes to Ashes. 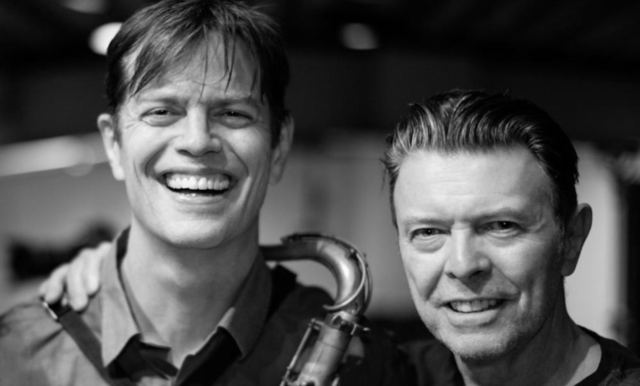 Bowie himself was keenly interested in jazz exploration in his final years, as reflected both in his arrangement of “Sue” done with the Maria Schneider Orchestra and his work on his final recording, Blackstar, with jazz saxophonist Donny McCaslin (who performed with his group in a four-night run in the Vanderhoef Studio Theatre in 2015). As noted by The Wee Trio’s Dan Loomis, “It’s always a challenge for jazz musicians to address the material of their time.” We are grateful that so many have taken on that challenge and shared their vision of Bowie’s iconic music with the rest of the world.